When I posted a couple of step-by-step tutorials on Interlaced Split Ring Braid, that had not been my intention at the onset. Clicking the photos was merely a means of keeping track of what I was doing & for future reference. Hence, the pics start only from the 2nd pair of rings. While the same technique can be easily applied to start the 1st set of rings, some have found it difficult to do so. I am grateful to Susan for bringing this to light. At the time, I was engaged in other activities & quickly tatted up a pair (using the same colours that she had been working with) & emailed the pics ( Here is her final version). I have finally gotten around to preparing a systematic tutorial for all those who may have found this a little difficult to tackle. Each SR is 9/9 ie. a total of 18 ds per ring. 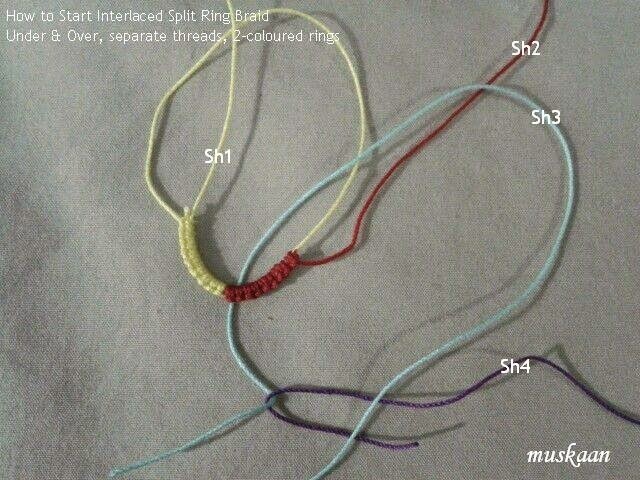 If one is making single coloured rings , the 2 pairs of shuttles can be wound CTM. normal way (Not as SRs) but interlacing them before closing either ring ! 1. Start with Sh1, make a normal ring of 18 ds. Do Not Close. Pass Sh3 through the ring, from front to back. 2. 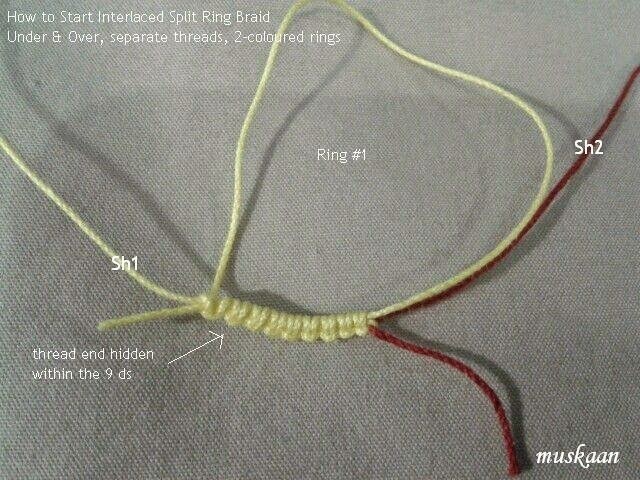 Make a loop with Sh3 thread with the part that is at the front, in order to commence 2nd ring. 3. This pic shows how the loop will be formed front to back. 4. 1ds of ring#2 made with Sh3. 5. 9ds completed. 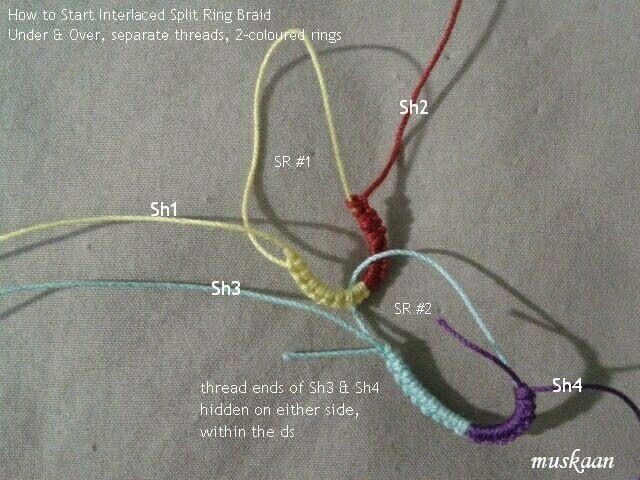 Since the thread is wound CTM, continue making the next set of 9ds with same Sh3, as a normal ring. 6. 18ds (9+9) of ring#2 completed as a normal ring. Do Not Close. 7. Pass the Sh3 Again front to back. (post the shuttle). 8. Start closing both rings, After posting shuttle. 9. Both rings closed & interlaced Over & Under (ring#1 is ‘Over’ & ring#2 is ‘Under’ in relation to each other). 10. Another set of interlaced rings made, this time Split Rings, but following the same basic technique as above, or as demonstrated in the detailed tutorial here. 1. With Sh1, make a normal ring of 18ds (9+9), if working CTM. Do Not Close. Pass Sh3 through this open ring from back through to the front. 2. 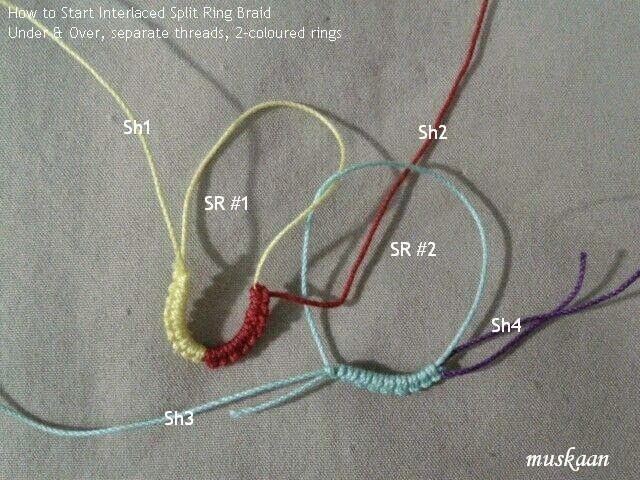 Pull out a loop with Sh3 with the part that is at the back, in order to commence 2nd ring. 3. This pic shows how the loop will be formed back to front. 4. 9ds of Ring#2 made with Sh3. 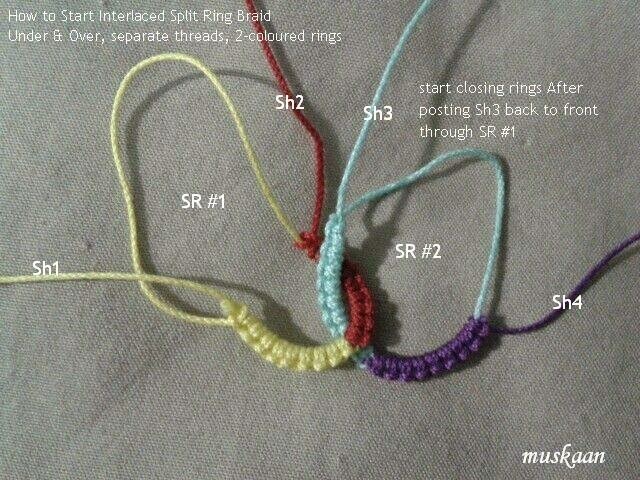 Since the thread is wound CTM, continue making the next set of 9ds with same Sh3, as a Normal ring. 5. 18ds (9+9) of ring#2 completed as a normal ring. Do Not Close. 6. Pass the Sh3 Again back to front through Ring#1 (post the shuttle). 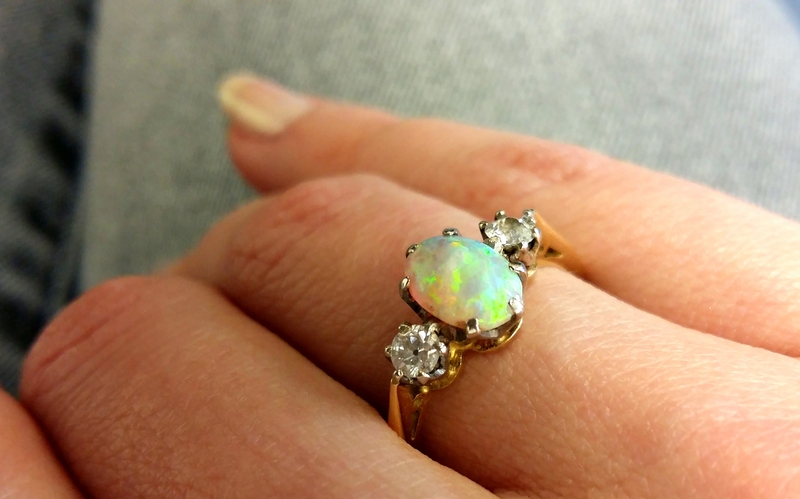 (ring#1 is ‘Under’ & ring#2 is ‘Over’ in relation to each other). but following the same basic technique as above, or as demonstrated in the detailed tutorial here. 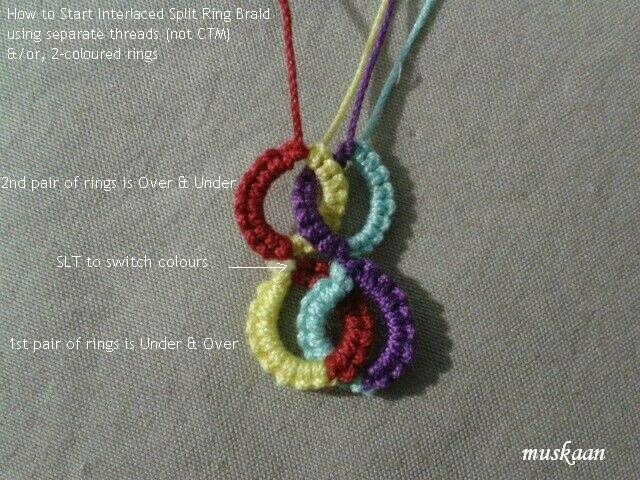 then the interlaced rings Have to be started with Split Rings. I have used 4 left over threads. If it can be helped, I never start tatting with a knot, and that is how I have demonstrated here. However, you can follow your own method. 1.Each pair of threads is simply intertwined as shown, without any knotting. 2. 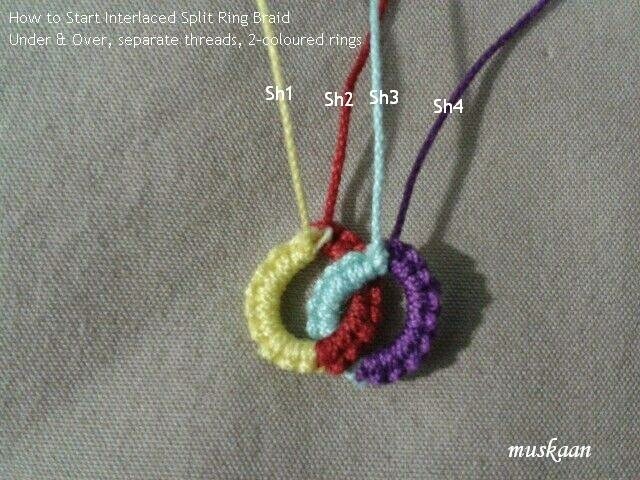 Make loop with Sh1 to start Split Ring #1. 9ds made with Sh1, enclosing/hiding the short beginning end within the stitches. TIP : Generally the thread is hidden only within the 1st 3-4 ds. But I like to hide it till the 1st picot is reached or as in this case, till the end of ring. 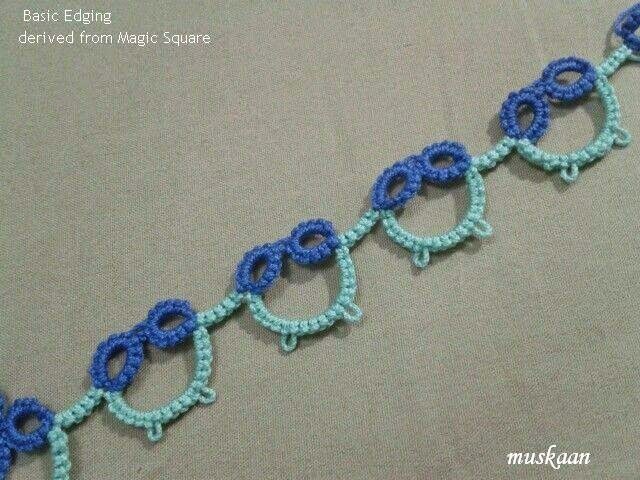 This provides a seeming evenness to the tatting, Especially while closing ring. enclosing/hiding the short beginning end within the unflipped stitches. Do Not Close the SR.
4. 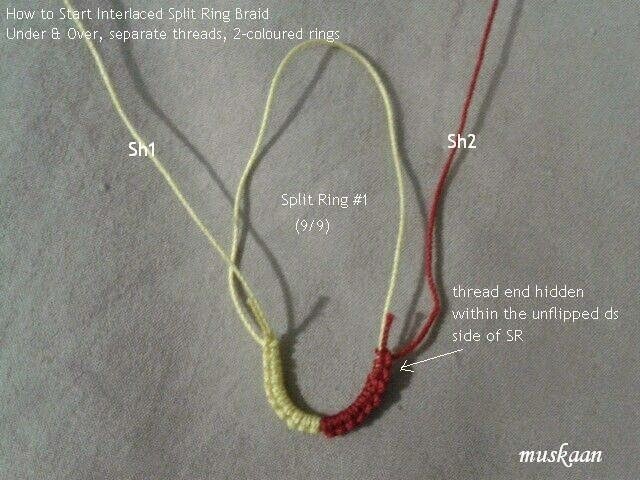 Sh3 is brought through the SR#1 from back to front & looped to start Split Ring #2. (for details on looping, refer to section B above). Keep the thread pair entwined. Note that the tiny tails that were still visible in SR#1, have now been snipped off. 5. 9ds made with Sh3, hiding the thread end within these stitches. 1st half of SR#2 completed. within these unflipped stitches. Do Not Close the SR.
7. Post the shuttle (Sh3) through SR#1, back to front, & begin closing both rings. 8. 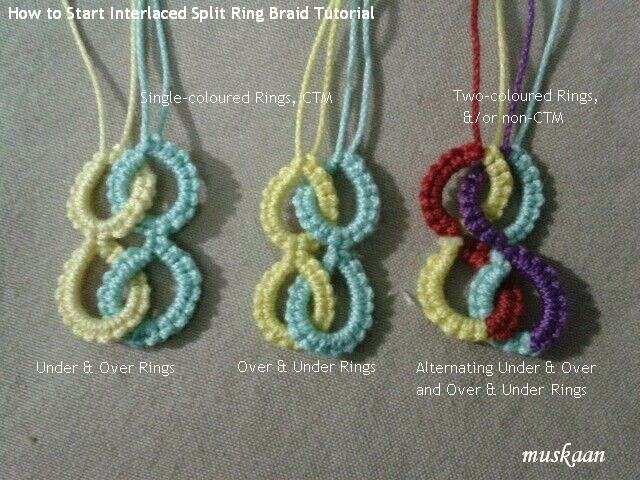 One pair of starting Interlaced Split Rings completed (Under & Over type). I have shown detailed steps for only this Under & Over kind of Interlaced SRs, but I’m sure the basic idea is now clear & one can similarly Start with Over & Under Interlaced SRs using 2 or more colours. As Well As the overlap – the 2nd pair of interlaced SRs are Over & Under type. In order to switch the colours, all I did was an SLT ! Love the potential of this as an Sinusoidal Bracelet & will be making it soon !!! There may be different ways that tatters pick up the thread & loop it around when starting the 2nd (interlaced) ring. This difference may mean a slight variation in the penultimate step where shuttle might not need to be posted. Follow what is comfortable to Your tatting style. Just make sure Before closing both rings, that the shuttles are on opposite sides : Sh1 & Sh2 pair should be on opposite sides of Ring #2, while Sh3 & Sh4 pair should be on opposite sides of Ring #1. Many of these small motifs can be joined as one tats, or in one pass, to create longer lengths for edgings, insertions, & the like. This has been my attempt for the current post. In general, I have refrained from creating new variations/derivations, sticking to the basic flow of the magic square. But the potential is just so vast & I couldn't resist a few glimpses! I am sure you will be able to recognize many of the patterns drawn below. Basic Edging (Figs 1, 2) : The most basic, following the flow of tatting, is this edging in Fig 1. In the same pic, I have superimposed the same basic pattern, but with slight additions/changes – eg. the black Josephine Knots & the Double Picots in both the chains, as well as in the joining rings. A sampler of how the basic edging would look in reality, using 2 colours. Basic Insertion/Bookmark (Figs 3, 4) :When one returns back (mirror-imaging), another edging/insertion evolves ! It could also make a nice simple bookmark, with the addition of a tail or tassel ! Elegant Cross (Fig 5) shows the Same pattern continue into a lovely Cross ! Beginners’ Edging (Fig 6) is another very easy rings-and-chains-only edging (one side) / insertion (both sides), ideal for beginners. How often have these rings & chains edging been used to fill up patterns, including doilies ! Broad Edging/Trim (Fig 7) is yet another lovely edging pattern, slightly broader, where no stitch count changes or special techniques are required. Fig 8, below, depicts 3 patterns – A, B, & C.
Simple Edging (Fig 8-A) : The bottom red edging is simple, again going with the original pattern flow. No change in stitch count required. Insertion/Bookmark (Fig 8-B) : The center edging/insertion (Fig 8-B), with blue Split Rings on either side, is also made in one pass, with a mirror-image return of joins. SRs are depicted with a black line within the ring. Abstract Floral Bracelet (Fig 8-C) : The topmost edging also requires Split Rings (black-lined rings) to move from one set to the next & one has to return back to complete the pattern. It would, however, make such a beautiful dainty floral Bracelet (where the yellow ‘flower centre’ are beads) . Motif Border (Fig 9) is a collection of tiny square motifs. For beginners (Fig 9-A), the motifs can be made individually & joined as one tats them, to desired length. One-pass (Fig 9-B) : It can be made in one pass too ! I have tried to visually explain the path in Fig 9-B, by breaking it into 2 colours. Start with the brown; you will notice that the basic flow of pattern is very similar to Fig, 8-A. BUT instead of a solitary ring above, make a very small Downward Picot (DP), shown as a black square. When desired length of edging is reached, return (this part is shown in teal) & join once with a ring to the other 3 rings , & once to the DP. Elegant Motif Bracelet (Fig 10) shows a simple cute bracelet pattern of tiny motifs joined with a red bead in between. Or continue with the winding maze to make a beautiful shawl eg. Barbara Sears’ shawl. I would also like to share another ‘deconstruction’: Ninetta found a Heart in the Mystery Doily here, when she was working Round 6! Kristen, has needle-tatted “Star No 2” from “Tatting: Patterns & Designs” by Blomqvist & Persson. This is the medium-sized square motif (Motif 2-B) deconstructed in this earlier post. I needed a good referral diagram. Since I had used a written-only pattern, I had to draw my own diagram as well as write out more detailed notations for the 1st square. For the 2nd square, I kept the 1st square beside me for frequent referencing. Using Size 20 thread & ball & shuttle, 2 bobbin loads are required to tat one complete square. Working with 2 shuttles will probably be easier ; in any case it will be neater. Working with 2 colours might make the movements & joins less tricky – it will bring out exactly where the next element goes, which should be joined where, etc. 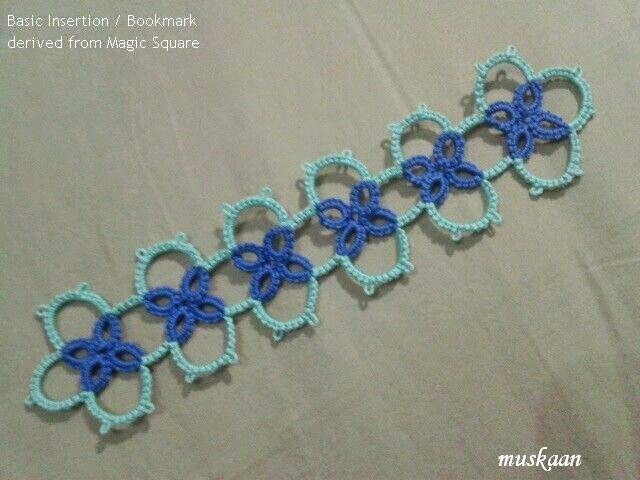 It helps to do this motif in all front side tatting, using 2 shuttles & reverse stitch for chains !!! I did this for the triangle, & it helps because one does not have to keep flipping the piece over; it makes referencing to & following a diagram easier. Finally, and this is meant as a tribute, one needs an MC Escher type of brain-wiring to get it done easily; something which I sorely lack ;-/ While I Could clearly visualize & understand the flow, the path & the ‘logic’, when it came to tatting, it was tricky, what with having to RW after each element ! Hence all front-side tatting is of immense help ! As an aside, I Really need to practice the Dora Young Knot or Split Chain. I used it to end the square & is quite an eye-sore ! 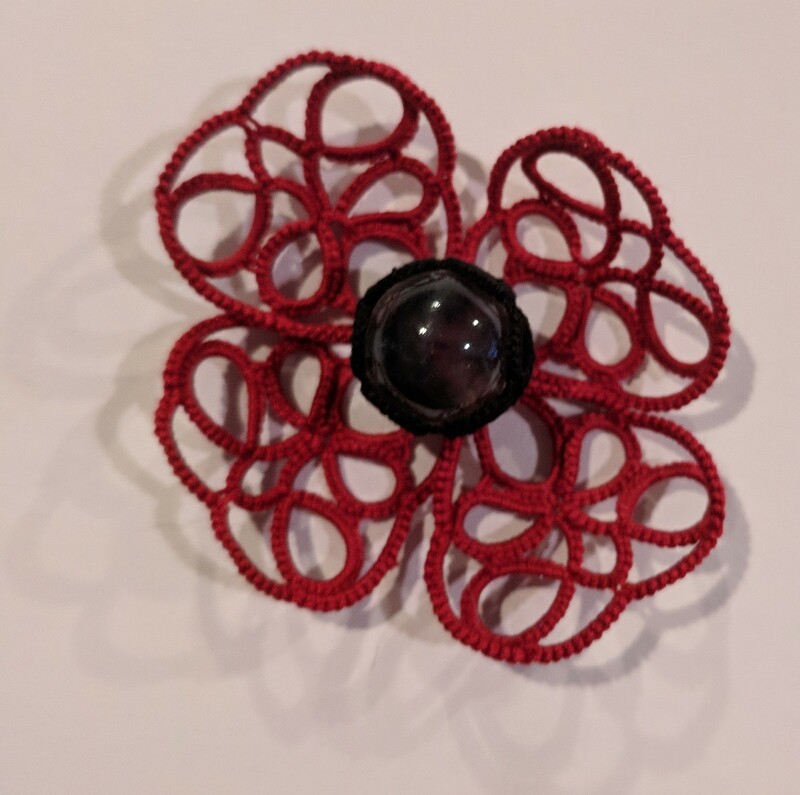 Continuing from the previous post where I showed one way of adding auxiliary thread to tatting, anywhere, anytime, here is another way of Ending with an auxiliary thread, when the rest of the tatting is done with normal single threads. I continue with the second bud in the Tiny Heart Poppy flower. after leaving a small picot at the base, for attachment to main stem. fold along the middle, thus doubling up the thread. Start rewinding bobbin from this doubled-up end. with this double thread acting as an auxiliary thread. 14. Josephine Ring started, hiding the tail of auxiliary thread within the hitches. 15. Inner JR (15 hitches) complete. Snip off Shuttle #2 thread, leaving a short tail. make Perpendicular Conncentric/Onion Josephine Ring (22 hitches). TIP : For this tutorial, I finished it off with Single Shuttle Split Ring method (SSSR or rather SSSJR in this case), so that no weaving of threads would be required later. Simply snip off the tail ends. Voila, the buds, with stems are ready ! As I wrote out this tutorial, the immense potential & diverse use of this technique started to emerge. What had started as a quick-fix solution, has taken on a whole new identity of it's own. Scrap or short lengths of thread can be used up as auxiliary thread for single or few elements. One can select the elements that need padding. A different colour of auxiliary thread can be added, to create transition, interest or focal point. One can add as & when required - great flexibility & varied texture possible. Can add more than one auxiliary thread , and in different colours too !!! 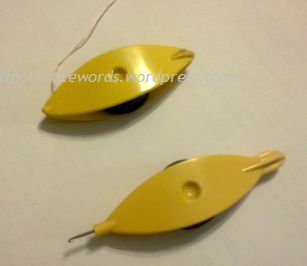 No requirement of a double-bobbin shuttle or for taping together 2 shuttles. Hence easier to tat as well. An incidental advantage of ending with auxiliary thread as depicted in the above tutorial : The leftover thread in Shuttle #1 is a long continuous strand, instead of 2 short separate pieces. I hope these techniques /solutions are of help &/or source of inspiration. Back-to-back posts elaborating how I added/used auxiliary thread while making the buds in Tiny Heart Poppy. In the absence of context, the explanation there might have been a tad confusing . Additionally, these 2 methods of adding auxiliary thread can have plenty of uses independent of the current 3D application. It all arose because I needed the buds to be bigger than the flower center. However, increasing the stitchcount of the 2 concentric rings would only make them floppy ! I could think of only a couple of options – 1. padded Josephine Rings or 2. padded tatting . Since I’d already ‘learned’ the 1st, I decided to try my hand at the 2nd. But how to add an auxiliary thread to the core, now that my 2 shuttles were already loaded CTM ?! The following is how I tackled that dilemma, along with a step-by-step pictorial of how the buds were made. NOTE : This method can be used to add auxiliary thread Anywhere & Anytime, not merely at the start. 4. Inner/first Josephine Ring started with Shuttle #1. 15 hitches. 6. Perpendicular Concentric/Onion JR started with Shuttle #1. Here Jane Eborall's alternative technique is used. 7. JR2 has 22 hitches. One Bud completed. 8. Snip off Auxiliary thread, leaving a tail for encapsulation. 9. Encapsulate both tails of Auxiliary thread with Josephine Chain. TIP : When making Josephine Chains (Spiral Chains), I have found the using 2 shuttles works much better than a shuttle & ball. JCs cause a lot of twisting even to the ball (working) thread; hence if the working thread is on a 2nd shuttle, it becomes so much easier to suspend & untwist as frequently as one wants. Part 2 of this tutorial shows one way of how one can end with an auxiliary thread. Quick TIPS : Winding Threads & Yarns !